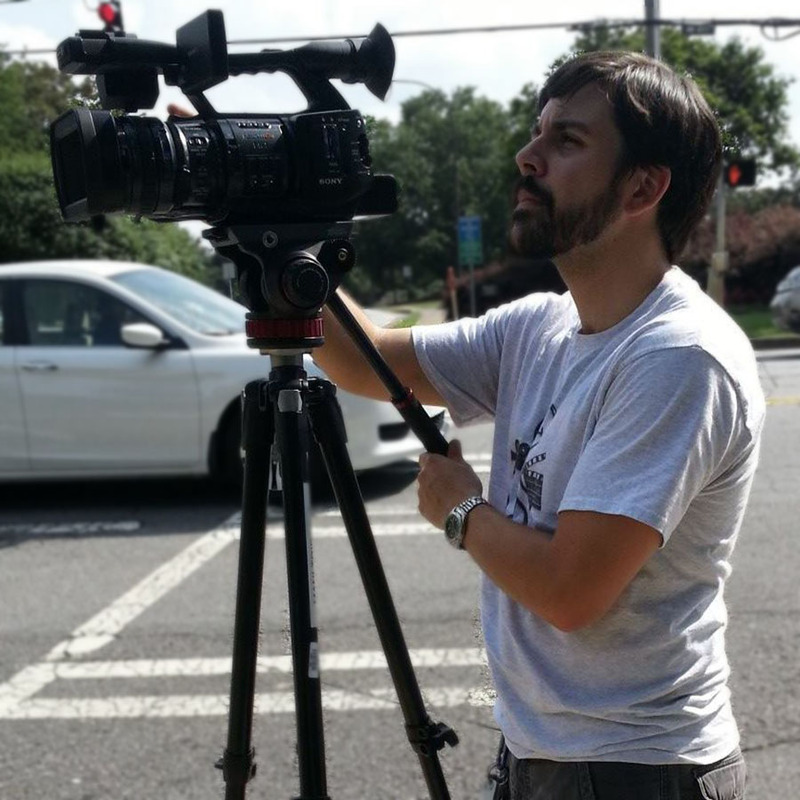 Scott is one of our camera operators and self-described "Pop Culture Commentator" at indieATL. He joined our crew in the fall of 2011 after finishing his B.A. in Broadcasting and starting his M.A. in Film and Television Production at GSU. With his skills in editing, camera operation, rigging, and dolly gripping on our shoots; Scott is an all-around handy-man at indieATL. A: A human generator of positive energy with a beard and far too much comic book knowledge. Q: If you could sing a duet with any musical artist who would it be? A: The late great Brad Delp, former lead singer of Boston. To sing “Peace of Mind” with him would be "more than a feeling."